NuMedica CurcuCalm is designed to provide powerful nutritional support for people who suffer from chronic inflammatory conditions like arthritis, chronic obstructive pulmonary disease, lupus, celiac disease, and psoriasis. 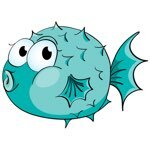 These conditions are characterized by persistent inflammation aside from their specific symptoms. A natural supplement like NuMedica CurcuCalm delivers powerful anti-inflammatory protections that can ease inflammation and decrease disease symptoms. NuMedica CurcuCalm's nutritional formula works by inhibiting the compounds in your body that adversely affect your joints, muscles, and connective tissues by causing inflammation and pain. Because many inflammatory conditions like arthritis are manifested by joint or connective tissue pain, NuMedica CurcuCalm targets this inflammation with nutritional ingredients that have anti-inflammatory benefits. Best of all, these ingredients are endowed with natural anti-inflammatory benefits, which is what makes supplements like this one so attractive to adults who understand how diet and nutrition play a powerful role in their health. 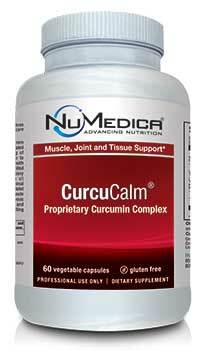 Curcumin is the primary ingredient in NuMedica CurcuCalm. A natural extract derived from turmeric, curcumin is widely known to reduce inflammation. Turmeric is a popular spice that has long been associated with health benefits in parts of Asia and India. While many people enjoy turmeric as a flavorful spice, this ingredient may, indeed, have anti-inflammory, antioxidant, and even anti-cancer properties to offer. Studies have demonstrated that curcumin may reduce inflammation as well as pain in patients suffering from osteoarthritis or rheumatoid arthritis. In addition, NuMedica CurcuCalm contains other potent nutrients such as ginger that may deliver additional anti-inflammatory benefits for relief from chronic inflammatory conditions. Chronic inflammation, even when you do not experience outward symptoms, may lead to chronic disease and significant damage to your health. 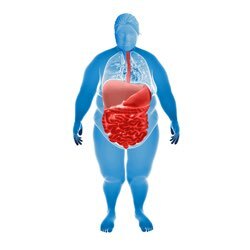 As a nutritional supplement, you can obtain therapeutic levels of these NuMedica CurcuCalm's ingredients that you may not get in your regular diet. Directions: Take three capsules daily or as directed by your healthcare practitioner. Warning: Contains Ashwagandha Root Extract. Do not use if pregnant or nursing.